As we celebrate the 60th anniversary of Victory in Europe and Japan, Bishopthorpe Community Archive reveals life on the Home Front through words and pictures. Visit Bishopthorpe Library to see the display throughout August until 12 September. 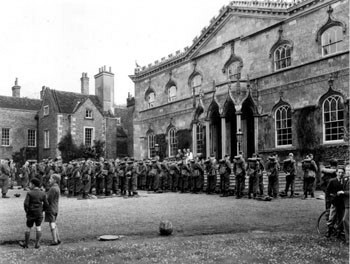 The local Home Guard carried out part of their training at Bishopthorpe Palace. During the war The Garth, in Sim Balk Lane, was designated a sub-station for Leeds signal office at Oakwood. 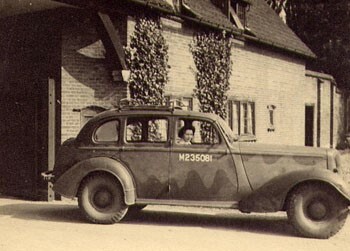 One lady who remembered working there was Mrs Simmons (nee Hill), of Haxby. Mrs Simmons was a private in the Auxiliary Territorial Service (ATS) and worked as a teleprinter operator. About 30 men and women were stationed at The Garth; the women lived on the premises and the men were billeted in the village. 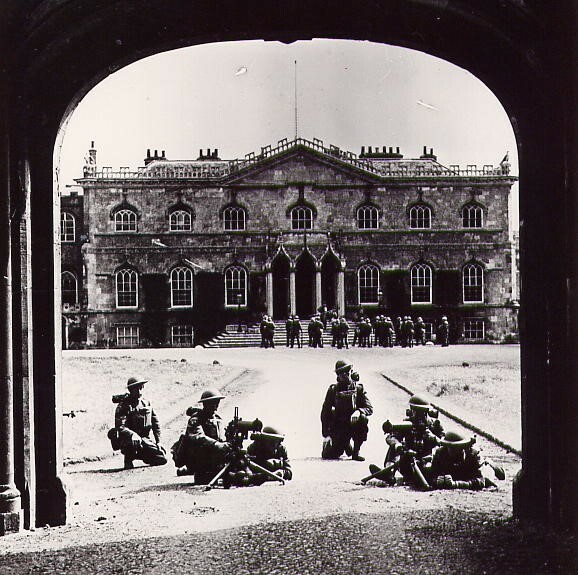 In May 1943, ‘D’ Company, 11th West Riding Battalion, Home Guard, celebrated its third anniversary by marching through the village and attending an open-air service in front of Bishopthorpe Palace. The Company included men from Bishopthorpe, Acaster Malbis and other local villages. 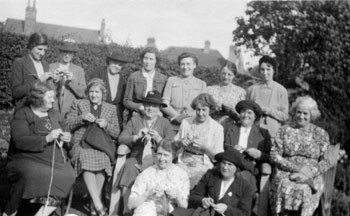 Bishopthorpe Women’s Institute join the war effort by knitting sea socks.